Four years ago, tradies who needed a serious SDS rotary hammer drill had to choose between an electric corded model, or shelling out for the premium 36V Hilti. But in 2018 users have many cordless choices, even SDS-Max units, capable of large holes in hard concrete. 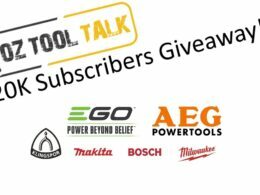 oztooltalk have undertaken a comparison of seven of the best cordless rotary hammer drills. 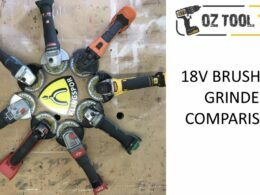 36V units from Bosch and Hilti, two 54V Flexvolt drills from Dewalt, twin 18V tools from Makita & Metabo, and Milwaukee’s SDS-Max drill, the only 18V in the field. Full specifications of all the drills found at 3:46 in the video. The scoring system was centred around 22mm holes for both power and runtime, with 16mm and 28mm holes also being scored. Chipping was tested but not scored, and only the SDS-Max units had a turn with the 32mm bits. All testing was undertaken in (double-stacked) 100mm 40 Mpa concrete sleepers. 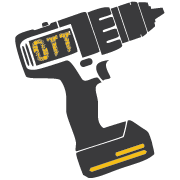 oztooltalk were surprised to discover that the SDS-Max units from Dewalt and Milwaukee could not keep up with their SDS-Plus counterparts in the 16mm test. Bigger isn’t always better apparently, as they took nearly twice as long. Hilti won the speed tests in both 16mm and 22mm. 22mm seems to be the crossover size, in this material at least, between SDS-Plus and SDS-Max. The two Dewalt flexvolt drills completed the 22mm holes in almost identical times. At 28mm, the SDS-max units from Milwaukee, and particularly Dewalt, stamped their authority over the rest. It is not enjoyable to use the SDS-Plus tools at this size, especially the Makita which is only rated to 26mm anyway. Runtime was dominated by the 36V Hilti, with the SDS-Plus Dewalt coming second. The Bosch, Hilti and Dewalt drills gave the least vibration and were given high comfort scores. Full scorecard at 11:18 of the video. Despite its age (2013 release) the Hilti is still the best all-round cordless rotary hammer drill on the market. It’s a beautiful machine to use with an amazing (20 year) defect warranty for both tools and batteries. 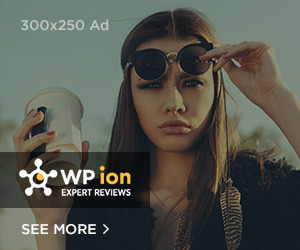 However at nearly $2,500, it is priced out of reach for some users. One could also argue that a tradie could buy an alternate brand and then an entire spare kit for less money overall. The two Dewalt flexvolt units are a very easy sell. They placed 1st for SDS-Max and 2nd for SDS-Plus, and are sold at very competitive prices. Additionally, users are buying into an excellent range of very high-powered tools. Dewalt really hit home-runs with this pair. The Bosch 36V tool is a beautiful tool to use and would have done even better had it’s upcoming 6Ah batteries been available at the time of testing. It is extremely comfortable and features their EPC feature, which ramps the power up slowly for precision drilling. Bosch have forged a very good reputation in masonry tools. The main downside is that there isn’t much of a 36V line-up to go with it. The fast runtime of the charger (even faster than Hilti) demonstrates that this tool is made for demanding professionals. The Metabo and Makita both run from twin 18V batteries. This is an obvious bonus for existing users of their 18v platforms, though it does necessitate the purchase of a second charger. Buying the drill as a bare skin, as an addition to an existing platform, make good sense. Particularly the Makita at under $400. However, when assessing the cost of putting together a 4 battery, 2 charger kit, these tools don’t stack up to the dedicated 36V/54V competitors. They also won’t give quite the same performance, particularly in vibration control. Lastly, the Milwaukee. The first brand to ever produce a cordless SDS-Max rotary hammer drill, and on a single 18v battery no less! When paired with 9Ah 18V batteries, it does a very good job of 22-28mm drilling, and chipping. Buying the kit also adds the large batteries in rotation for use with other high-draw tools, like their brushless grinder and wood saws. The downside of this system is the ~ 100 minute charge time, which will be unacceptable to some users. It is worth noting that Makita are soon to introduce new twin 18v SDS-Plus and SDS-Max models to Australia, which will hopefully bring them to or near the top of the pack. It seems unlikely to this reviewer that corded rotary hammer drills will dissapear from jobsites any time soon, in the way that drill drivers almost have. But cordless models are very viable for many tradespeople now, and will continue to steal market share away from their corded counterparts. Thanks to our sponsor POWER TOOLS DIRECT, and to Sunset Sleepers for the use of their factory.